A composite resin is a white filling used for small to medium-sized fillings. Composites are placed after a cavity has been removed or to re-build a broken tooth. Composites are a preferred restorative material due to their safety, esthetics, and preservation of natural structure. Bonding is a non-invasive method to enhance the aesthetics of your smile. Bonding can be used to correct cracks or gaps in your teeth or to cover up stains or discolored teeth. Crowns, often referred to as a “cap,” serve many dental purposes. They can help strengthen a tooth with a large filling or fracture, they are used to attach bridges, protect a weak tooth from breaking, restore worn teeth, and cover teeth that are discolored or misshapen. Crowns are also used to cover a dental implant. Crowns can be made from a variety of materials to best suit your needs. In some situations, partial crowns, known as an Inlay or Onlay, are used. 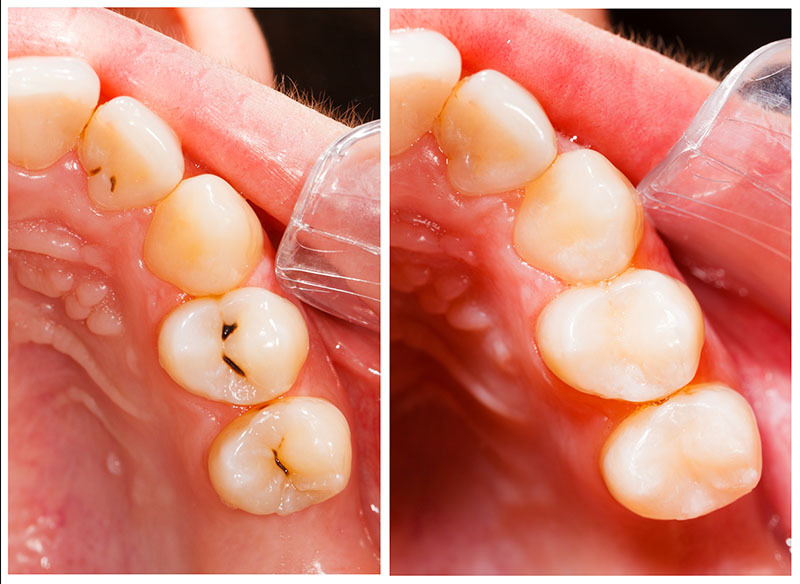 Inlays and Onlays allow us to restore your tooth while conserving natural tooth structure. If you are missing a tooth or several teeth, you should consider having it replaced. In addition to the aesthetic disadvantage of missing a tooth, a gap can cause structural changes to your mouth and jaw, as well as making it difficult to eat or speak. Dental implants are a permanent root replacement. Implants are the most similar to your natural teeth. Following integration of the titanium post into the bone, teeth can be restored. 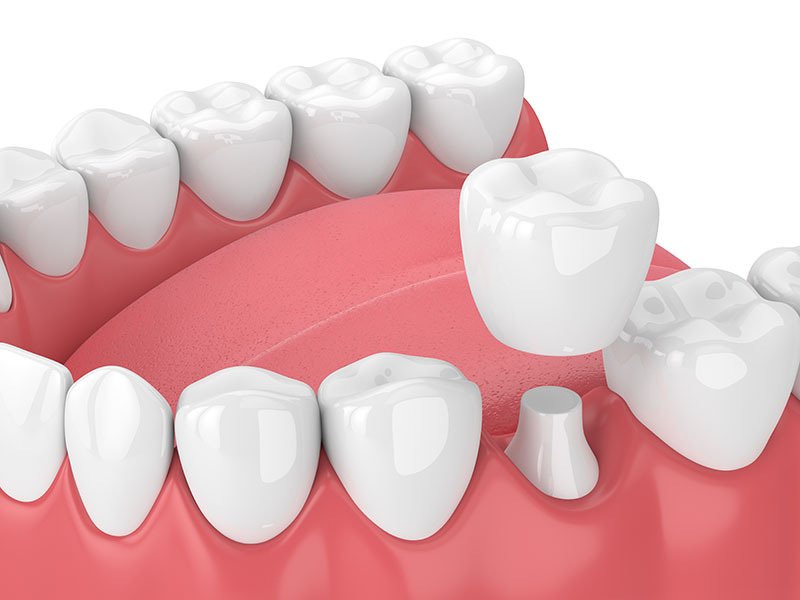 Two parts are needed to restore the tooth – the abutment and the crown. Implants are great for replacing a single tooth, replacing multiple teeth, or stabilizing dentures. While implants are highly successful, planning is critical and total treatment time can take several months. A bridge is a fixed dental restoration used to replace one or more missing teeth. A bridge joins an artificial tooth to adjacent teeth or dental implants. Dentures are removable appliances that can replace missing teeth and their surrounding structures. 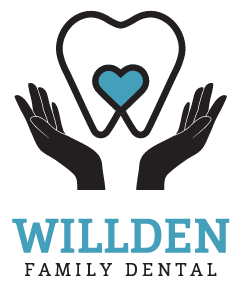 If you have lost some or all of your natural teeth, whether from gum disease, tooth decay or injury, replacing missing teeth will benefit your appearance and your health. Dentures can make it easier to eat and speak, especially with the addition of implants. Conventional Dentures – Complete dentures replace all of of your teeth and even surrounding tissue. They sit on top of your gums, as opposed to bridges that attach to exiting teeth or implants. Complete dentures are typically placed several weeks after the teeth have been removed. This ensures the best fit. 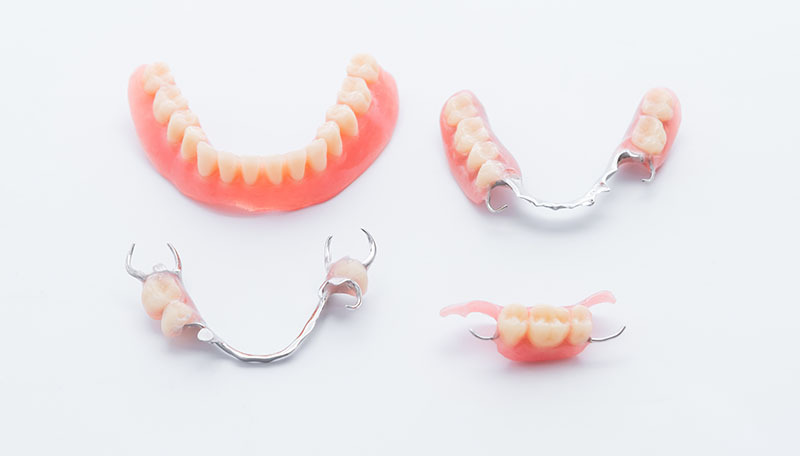 Partial Dentures – Partial dentures are used when you still have some natural, stable teeth. The denture is attach to existing teeth and this helps keep them in place. Immediate Dentures – Immediate dentures are dentures that are placed at the time of tooth removal. Immediate dentures are a great option for many people because you don’t have to go without teeth. In these cases, advanced planning is needed and on occasion, after healing, dentures need to be re-fit or remade. Overdentures/Implant Dentures – With implant supported dentures, dental implants are used to help secure your artificial teeth. Implant dentures can be made to snap-in place or they can be screwed into the implants (non-removable).